How Physically Demanding Is Police Work? People, especially those looking to start a new career later in life, often ask whether or not they're able to become police officers or other law enforcement agents. They're concerned they may be too old for police work. In fact, there are few departments that mandate a maximum age, and many offer exceptions for those with prior military or other law enforcement experience. Rather than focusing on age, employing agencies are more often concerned with whether or not you're physically capable of performing the job. And while they use several types of assessments to determine a candidate's ability, it all comes down to whether or not you can handle the day-to-day job of a law enforcement officer. To decide whether you're up for the task, you need to know what exactly are the physical rigors associated with police work and the dangers you may face if you aren’t physically fit enough for the job. Contrary to what you see on television, for most officers, a large portion of their day-to-day job involves sitting in their patrol cars or talking with members of the community. Obviously, you don’t have to be at your maximum fitness level to drive around all day and occasionally get out your car. In fact, for many officers, the only muscles that get any real exercise during their shifts are their fingers from all the report writing. The nature of the job, though, is such that things can and do change from boring and mundane to exhilarating in seconds. When the switch gets flipped, if you’re not in a decent state of health, then you’re either going to fail to do your job properly, which means someone else could get hurt, or you’re going to get hurt or killed yourself. Despite the long periods of potentially sedentary work conditions, several aspects of the job necessitate that you be in good shape. You probably already recognize that you may have to rely on explosive strength to run as fast as you can from a dead stop for minutes at a time in order to catch a fleeing suspect who just bolted on you. What you also need to consider are the occasions when you have to walk through or climb over rough terrain or structures to investigate crime scenes; help lift injured people to safe locations; crouch or crawl under and into tight spaces to search for suspects; and long hours spent standing and walking while on a perimeter, tracking with a K-9 officer, or scanning for evidence. For police officers and other criminal justice professionals such as correctional officers, there are even more dangers that come from not staying fit other than simply not being able to perform your job. 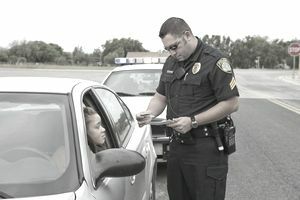 The long and irregular hours police often work can contribute to what is commonly called law enforcement fatigue, a state of chronic tiredness that can result not only in poor performance but increased risks of injury and death. In fact, Australian researchers Drew Dawson and Kathryn Reid found that long hours without sleep had essentially the same effects as alcohol impairment. Besides law enforcement fatigue, there are other health risks that come with being a police officer. High stress, poor eating habits, and lack of activity contribute to poor health in officers. Staying in shape, though, can go a long way toward combating these negative effects. Regardless of your age, what’s most important for you to remember when considering a law enforcement career is your physical and mental ability. Get in shape, stay in shape, and get ready for a long and rewarding career in law enforcement.